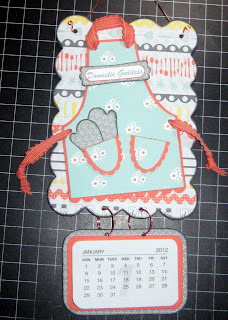 Each year I do a Calendar Class and they have proven to be popular. I was a bit worried about this year's calendar as last year's was soooo pretty but I decided to go a little bit more funky/retro to last year's and this is how it turned out. 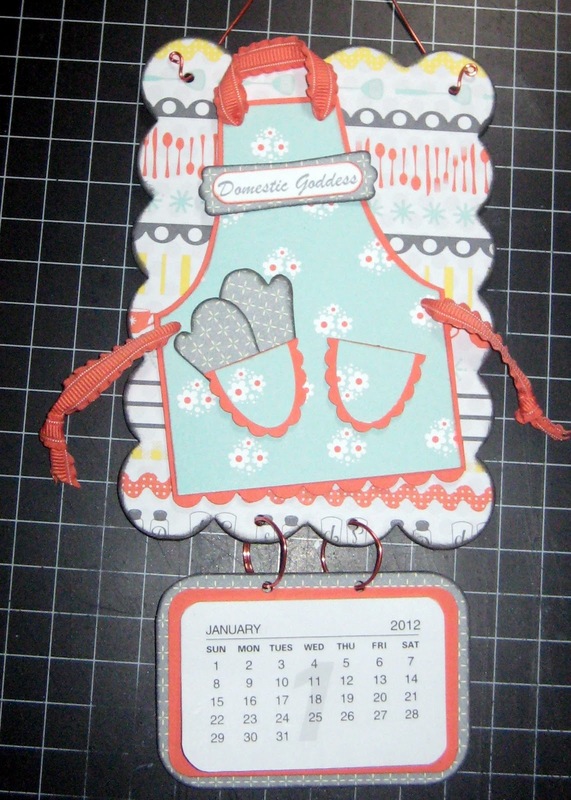 I have used the Domestic Goddess Designer Series Papers together with Calypso Coral card stock and Calypso Coral Ruffled ribbon. 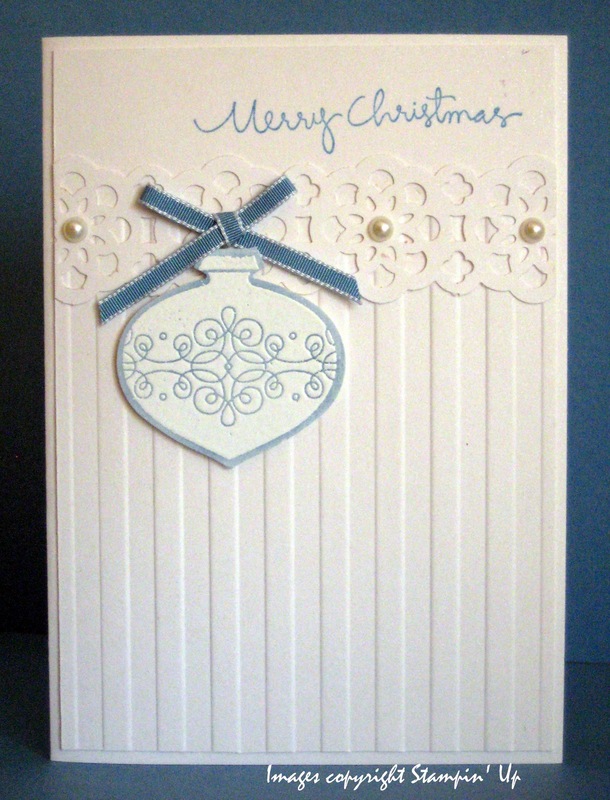 I've also used the Word Window, Designer Label, Large Oval, Scallop Oval and Scallop Edge Border punches. Other tools used were 18 gauge jewellery wire and jewellery tools, Crop-a-dile and Corner Chomper and a Sizzix Frame and Frame Back, Scallop Bigz Die. 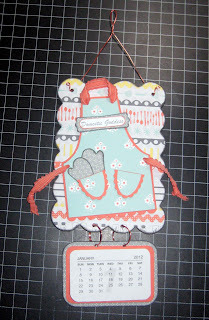 It's a little funky/retro ... don't you think ... let me know! A few weeks back I did a 'White on White' Christmas Card Class. Here are the two cards that we made. As you can see we've used quite a few different products to achieve an effective look. 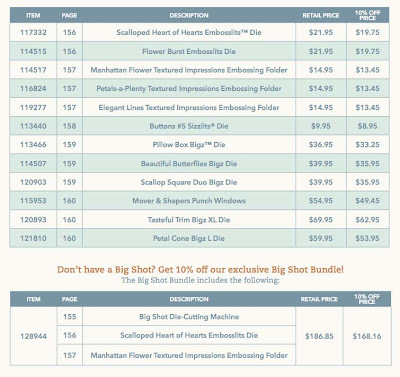 All products are Stampin' Up!. Stripes Embossing Folder, Ornament Punch, Lace Ribbon Border, Tags Till Christmas and Christmas Greetings stamp sets, Pearl Basic Jewels and Marina Mist 1/8" Taffeta Ribbon. 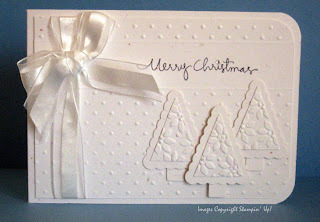 On the next card we used the Perfect Polka Dots Embossing Folder, Petals-a-Plenty embossing Folder on the Chrissie Trees and these trees were punched using the Petite Pennants Builder Punch. The greeting was once again from Christmas Greetings, Rhinestone Basic Jewels and the ribbon is the 5/8" Whisper White Organza Ribbon. 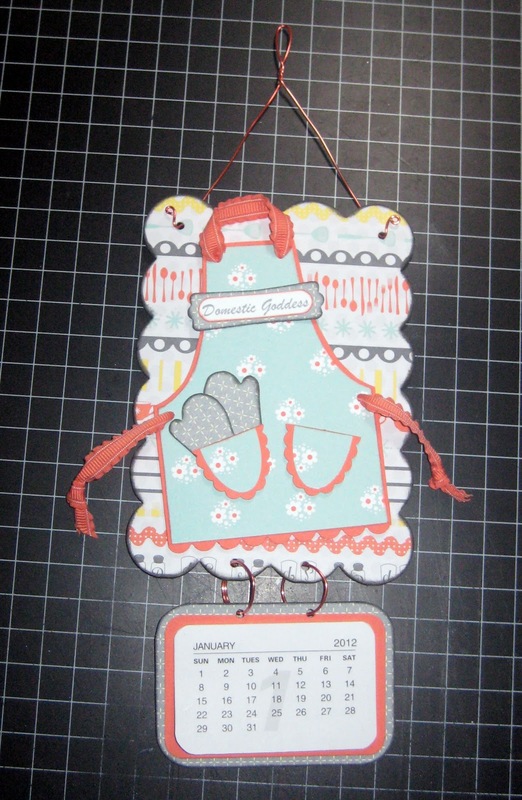 and going down to the Stampin’ Up! Gallery – Alphabetical by name. Please email me privately if you are interested in any of the above sets.